OSS has created a complete trauma kit that fits on the canine's collar. This now makes it possible for any officer to treat the dog if they can reach him. In many situations the handler may not be able to reach the dog and it may become possible for another officer on scene or a perimeter to find the injured dog. 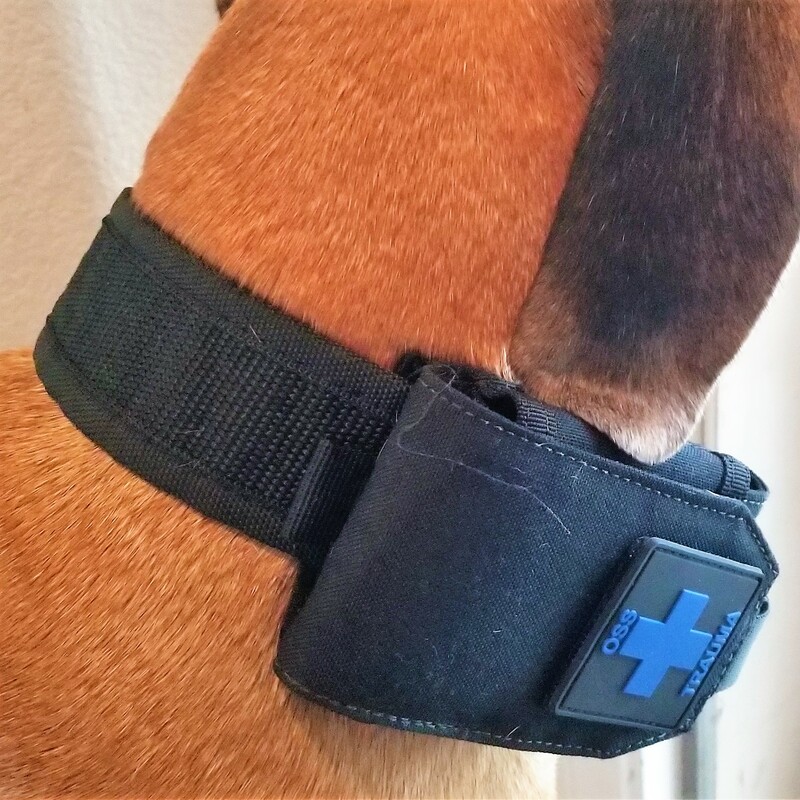 This new "Collar Kit" will allow the canine to carry his own trauma gear on his body just like a patrol officer and he can be treated immediately by any officer that arrives to assist.. This kit contains the same type of critical med items that our Advanced Trauma Kits contain and is endorsed by veterinarians all across the nation.